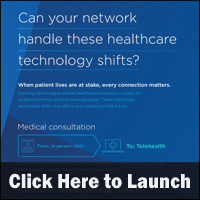 Infographic: Can Your Network Handle Healthcare Technology Shifts? When patient lives are at stake, every connection matters. Evolving technologies enable healthcare innovation—unless an underperforming network slows progress. These healthcare technology shifts may affect your network in the future, according to a new infographic by Spectrum Enterprise. The infographic examines how technology is changing healthcare and the network requirements under these new scenarios. » Infographic: How Does CMS' New Methodology Impact Hospital Star Ratings? 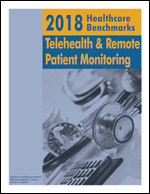 This entry was posted on Wednesday, August 8th, 2018 at 1:30 pm	and is filed under e-Health, Electronic Health Records, Electronic Medical Record, Health IT, Healthcare Trends, Infographics. You can follow any responses to this entry through the RSS 2.0 feed. Both comments and pings are currently closed.